I went to a local garden at a time that I don't usually dare to take photos... 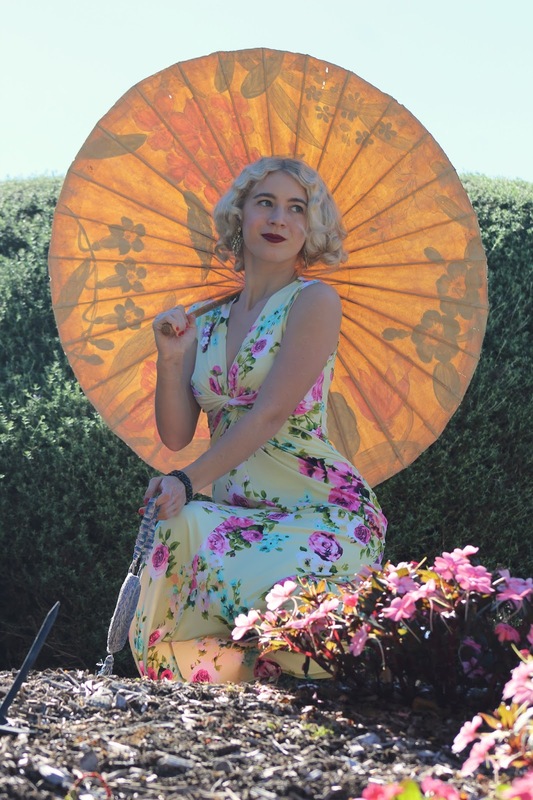 It was windy but the sun was warm, the lighting worked out in the end due to finding a nice spot for photos and was quite romantic for this rose print 1930's inspired dress. Maxi dresses and jumpsuits have always been a favourite for me, they can be romantic, fun and easy to wear. 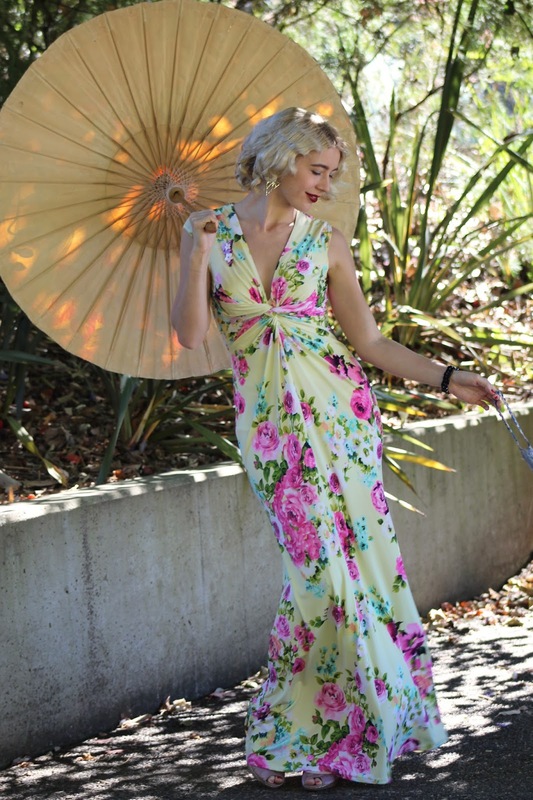 Whether it be a 30's, 40's or 60's/70's inspired maxi dress they never fail to make me feel glamorous. 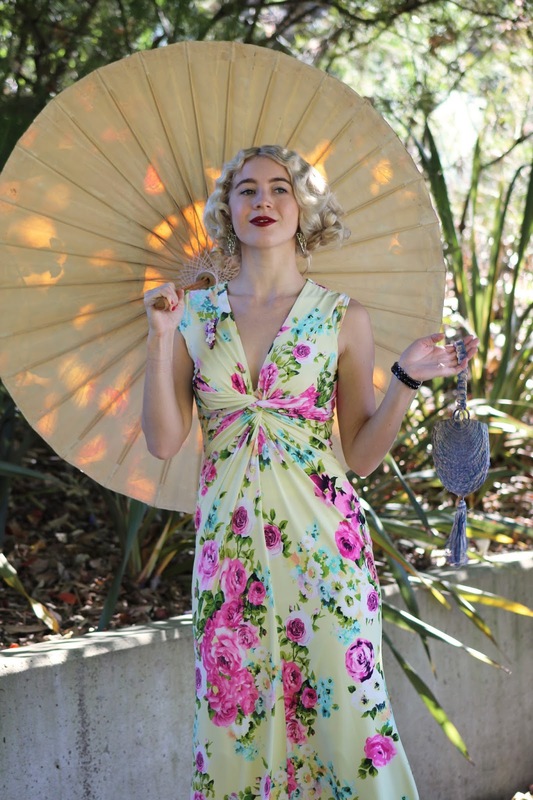 This vibrant Unique Vintage dress caught my attention for it's interesting design and the gorgeous print, I knew I had to add it to my wardrobe. 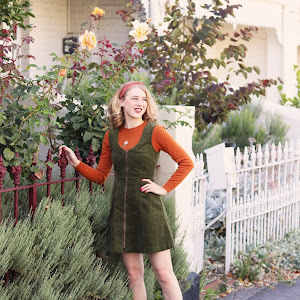 This dress has no zip, it comes with a bit of stretch to it and it is fully lined... My usual size small from Unique Vintage was a perfect fit. What I love about this dress other than the fact that it is so gorgeous is that it is very comfortable. The fabric is soft and the stretch fabric makes it relaxing to wear. I see myself styling it with more relaxed hair too but I can never resist styling my hair with finger waves and a faux bob. 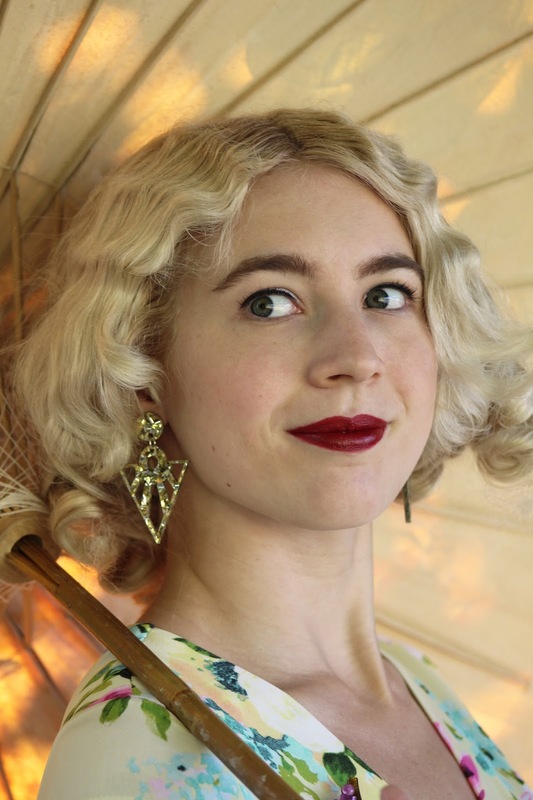 For extra floral goodness I added my Erstwilder brooch from the new floral collection and my vintage parasol, I did intend to wear a hair flower but I already had a lot going on with my hair and accessories already. I recently purchased a couple of pairs of Poetic License shoes after wanting to try them for some time and I must say I am very impressed. These heels are absolutely gorgeous and really great quality... I love how they look with this dress. And the purse, well I bought this vintage 20's one on ebay about a year ago for a steal, it has a few tiny flaws but it looks good enough to me. It is so dainty and pretty, I adore it. 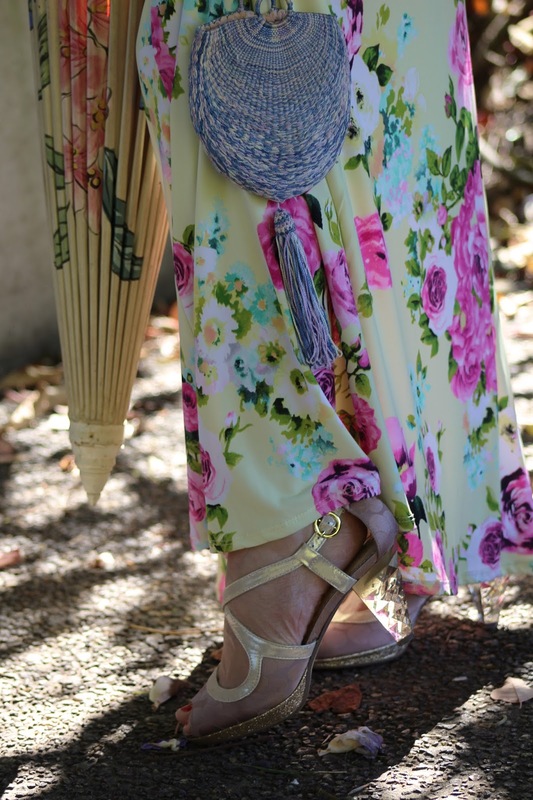 I have a real love for purses and try to add another vintage one here and there when I can. 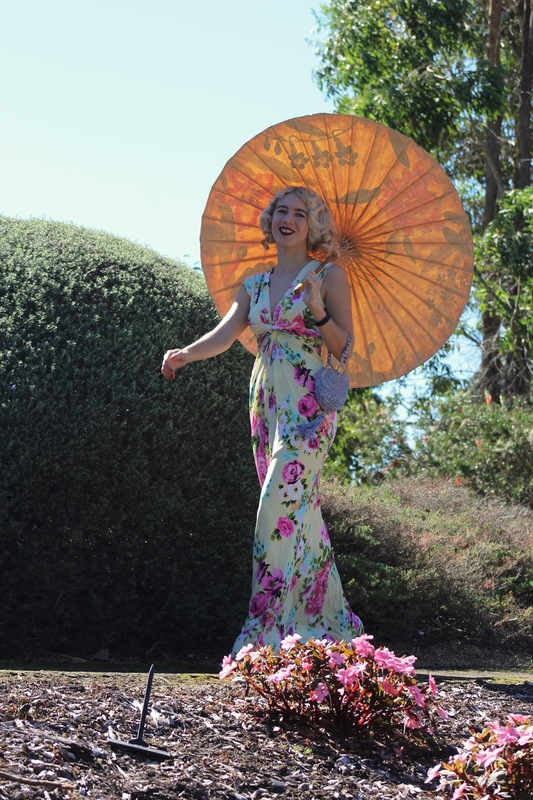 Added a quick couple of clips of the dress, my parasol was too big and got stuck at one stage which explains the laughter at the end, you can also hear the fountain near by and just how windy it was yesterday! You look absolutely stunning in this outfit. The dress fits you like a dream, your hair, makeup and the rest of your outfit work so amazingly well together. The photos are perfection in showing off the dress to it's full beauty. Well done. That dress is simply stunning, and you've put everything together so well! It seriously suits you!! 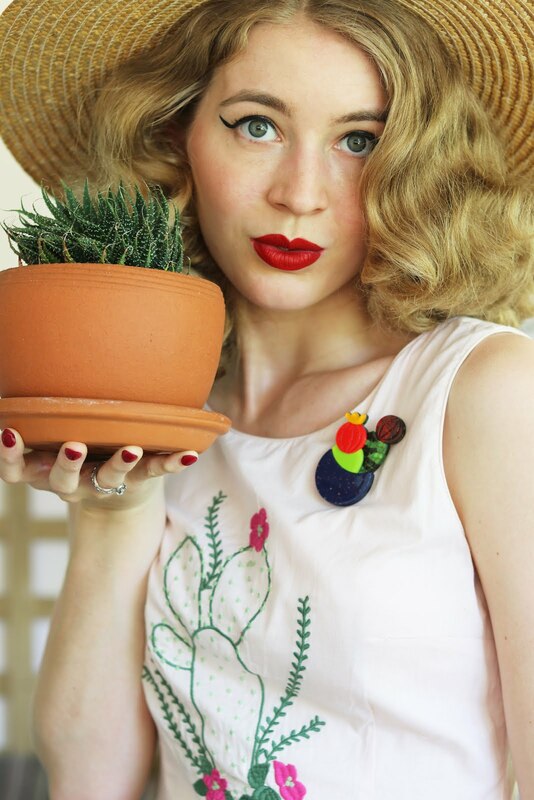 Deeply gorgeous ensemble! I love the cheerful marriage of butter yellow and punchy pink here. Such a pretty floral print! It is so effortlessly feminine! 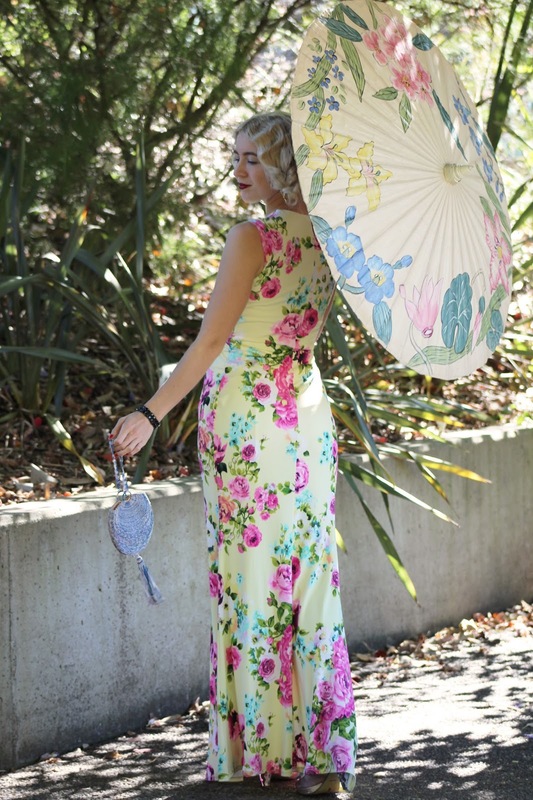 And a gorgeous parasol too. Heavenly!! omg that dress is so pretty!